Lithuanian economic, political and social development should be assessed from a historical perspective because Lithuania regained its independence in 1990 when the Soviet Union collapsed. 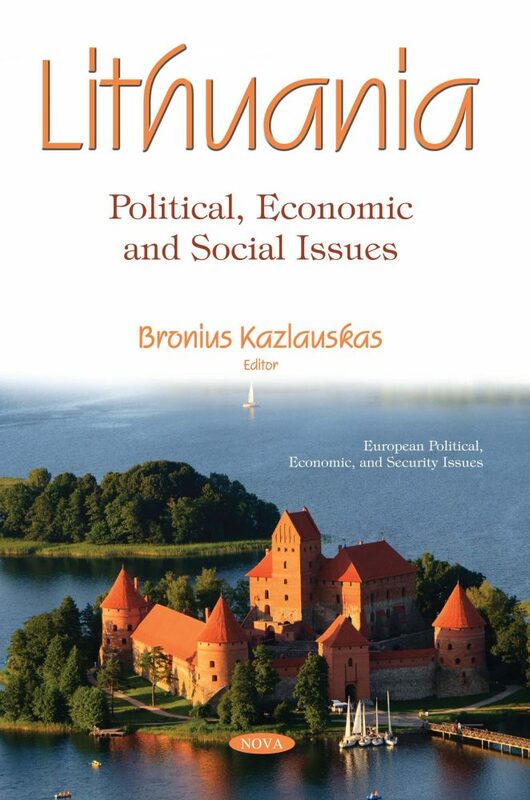 Lithuania: Political, Economic and Social Issues opens with an analysis of the three stages of political, economic and social development in the period of Lithuanian independence. Next, the authors discuss the implementation of a very important human right, the prohibition of torture. In recent years, the European Court of Human Rights has recognized that the prohibition of torture and inhuman treatment also has a procedural dimension. In the case of Kraulaidis v. Lithuania, the European Court of Human Rights ruled that the official investigation into a traffic accident, which left the applicant permanently disabled, was so insufficient as to amount to a violation of Article 3 ECHR. Railway transportation plays an important role in the socioeconomic development of the greater number of all 195 independent countries in the world in general, and in Lithuania in particular. As such, one assessment aims to examine the situational analysis of the rail transport sector in Lithuania during the periods of Russian tsarist oppression (1859–1915), Soviet occupation (1944–1990) economic transition (1990–1995), economy growth (1996–2007) and integration into today’s European transport network (2010–now). Next, the authors aim to identify the role played by childhood and adolescent experiences in the formation of pro-violence attitudes and on self-assessed violent behavior in early adulthood. Recent statistical information about crime and criminal justice issues in the European Union indicates that over the past decade, violent crime rates have decreased in Lithuania. In the final chapter, beginning with the notion that state broadcasters are entitled to basic human rights, including the right to free speech, the authors demonstrate how the goals of protecting journalistic human rights and freedoms and securing quality standards in journalism can be reconciled within the framework provided by the European Convention on Human Rights.